At Andrea Schumacher Interiors, we pride ourselves on bringing the utmost value to every project while carefully curating each home individually for each client. With over 20 years experience in making homes beautiful, Tanya has seen styles come and go and understands the importance of a timeless approach to design. Hudson Home brings a fresh perspective to your ideas to design a home that feels like "you." We believe you should live in a home you love! Our team specializes in creating distinctive, welcoming homes that reflect our clients’ styles, tastes, and personalities. Shelley Hudson creates fresh, versatile interiors with an artful mix of whimsy and sophistication. “I’m inspired by the easy, indoor-outdoor lifestyle of Southern California,” she explains. “My approach is informed by both a sense of history and deliberate attention to personal detail. I work very closely with my clients, and it’s important to me that they come home to an inviting, warm environment. I love helping a home function better for busy people, and I’m challenged and motivated by my clients every day!” Shelley and her team have over 20 years of interior design experience working with clients all over Southern California. Hudson Home's personalized approach keeps clients coming back year after year to collaborate on new projects. Our goal is to blend a clients style and needs with updated functional ideas, so that the finished product can age well and is personalized for each client. BEST OF HOUZZ 2018! 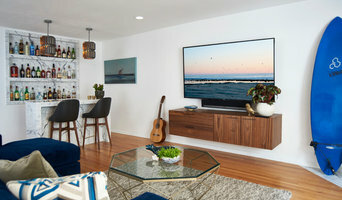 The South Bay’s Elite Building & Interior | 2x Best of Houzz! We provide creative interior design solutions for home and commercial spaces. We truly understand the construction of buildings, and that knowledge infuses our design approach with more depth. Maison Luxe is a retail boutique and home furnishings store that offers a wide range of interior design services. We offer custom window treatments, custom furniture, lighting, bedding and accessories. Owner, Carrie Quinn has worked in the design industry for over 20 years. She is inspired by textures and time periods, blending contemporary design with "California Beach Chic" to create unique, eclectic and timeless designs for her customers. We are a full service design firm specializing in the things that are closest to you: heart and home. We specialize in tailored and timeless spaces that feature charming architectural details. At 27 Diamonds, we create beautiful living spaces without high designer fees. Most of our design services are offered at a flat rate, allowing our clients to feel less pressured about their budgets. I love a challenge to solve, beautiful architecture, and making a place come to life with colors! I've travelled the world and have a vast knowledge of styles from classic to modern. Studio MG Interiors is a full service interior design firm based in Los Angeles with projects nationwide. We feel that timely execution, budget adherence & attention to detail are essential. Lauren’s passion for art history and all things vintage and modern provides the perfect foundation for creating harmonious, artful, timeless spaces. 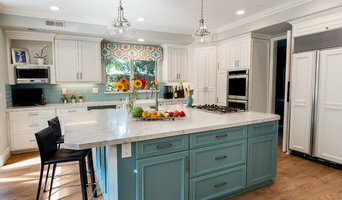 Whether you are looking to DECORATE a single room, REMODEL a Kitchen or Bath, ADD beautiful window treatments, DESIGN a complete home or CREATE sustainable and innovative commercial solutions that promote a better world to live, work and play, NIELSEN DYE DESIGN is the Interior Design Firm to contact for all of your design needs. A full-service Interior Design Firm with Residential, Commercial, and Senior Living expertise, Philip Nielsen and Douglas Dye have come together to create NIELSEN DYE DESIGN. Their unique environments will have luxury and style but also livability. Their designs offer Classic Traditional components, Fashion-Forward style or European Elegance, each with a common thread of quality and workmanship. International travel and projects have afforded them the knowledge of exceptional design elements and techniques. "We really enjoy helping out clients make a beautiful home or office, kitchen or bathroom: spending wisely and getting the most from our extensive list of sources, stores and craftspeople. We want the experience to be fun for the client and for us as well. We always create a low stress environment and explain everything: this always puts our clients at ease." Philip brings the same integrity to commercial projects as well as Senior Living complexes. The Firm understands that developing a program that helps to increase productivity, convey the company mission and satisfy the office profile is paramount. NIELSEN DYE DESIGN projects are individually- and uniquely-designed based on personality and lifestyle of each client and are products of continued conversation. Their work is classic but with a fresh, comfortable feeling. And being members of ASID you know that there is an expertise that backs the client's project with confidence that your Interior Design projects will be handled professionally and on budget. 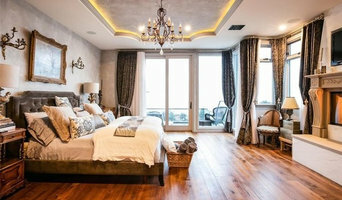 The client can rest assure that with an ASID Interior Designer working on your project you will be receiving the design expertise, skill and knowledge that Philip Nielsen and NIELSEN DYE DESIGN has of being one of the premiere Interior Design Firms in California. CUSTOMER SERVICE IS THE #1 PRIORITY FOR NIELSEN DYE DESIGN. Whether you are looking to entertain, make a change or starting something new, we offer a range of design services perfectly poised to help you discover high-end, luxury solutions for your space. Knapp Interiors, Inc. An Professional Member of the American Society of Interior Designers, Elizabeth Knapp Bobo and her team of experts love getting to work with clients in order to express their wants, their desires, their needs. It’s all part of their commitment to turn ordinary rooms and spaces into the unforgettable – while never ignoring the functionality of the spaces they need to embody the lifestyles or work-styles of the people who will inhabit them. Elizabeth’s unique style includes blending modern sensibilities with timeless appeal. One only has to look at the many commercial, business and private residences that have been transformed by Knapp Interiors to see the variety of work and styles they provide. That’s because they approach each job individually, based on their clients’ wants and needs. Knapp Interiors’ specialties extend throughout the entire design process, from start to finish – and include furnishing choices, paint colors, lighting design, artwork and more. Because of Elizabeth’s ability to understand the needs and vision of her clients, she’s able to offer an incredible array of design styles that will suit any business, commercial or private home setting, again depending on her clients’ particular tastes. So enough about us. We want to know about you. CEK Design, Inc. is a full-service interior design firm offering a wide variety of services, from a simple color consultation to large remodeling projects. known for creating, fresh, liveable spaces that mix style making use of vintage and new. We take every level of job from ground-up projects to simple styling and consulting. Our goal is to work with the client, manage expectations at each step of the way and make the overall experience fun! In the end, we want the space that we've created for you to be a source of pride, inspiration and comfort. Headed by CEO and Interior Designer Jamie Roddy, our focus is on quality client care, jaw-dropping interiors, and organized logistics to ensure the highest level of client satisfaction. Dannielle Albrecht Designs is an Interior design firm which specializes in residential designs. With over 10 years of experience our firm is dedicated to the principle of providing fantastic functional designs to match our client’s style, while staying on budget and on time. At Dannielle Albrecht Designs we understand that every client and project is different, so it is of the utmost importance to build trust and deliver a very personal design experience. Our business is built of word of mouth and our product is a result of listening while being responsive, reliable, creative, trustworthy, and solution-orientated. Whether you are thinking about a large project, such as a kitchen/bath redesign, or a smaller one, such as selecting the correct piece of furniture, don’t hesitate to call for a consultation. Feel free to reach out to us, we would love to hear from you! Dannielle Albrecht Designs is a full-service firm which specializes in interior designs and understands it is of the utmost importance to build trust and deliver a very personal design experience.